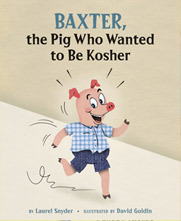 So my friend Laurel Snyder (who was on The Book of Life in August, 2008, and whose book Baxter, The Pig Who Wanted to Be Kosher was mentioned in the BEA09 episode) made the mistake of giving me a soapbox upon which to climb. She's one of the bloggers at From The Mixed-Up Files of Middle-Grade Authors, and she wanted to do a piece on Jewish middle-grade books so she emailed me a bunch of questions. Took me all day, but I wrote up some ideas and suggestions, which you can read here at the interview, (Sometimes-Not-So) All-of-a-Kind Families. There's an interesting discussion going in the comments section, too -- feel welcome to join in! Jonathan Papernick is the author of Who by Fire, Who by Blood and The Ascent of Eli Israel. 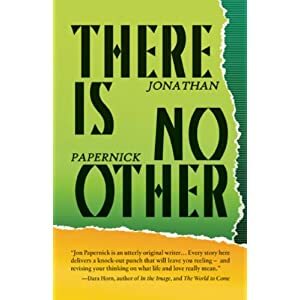 His new book of short stories is entitled There Is No Other: Stories of Faith, Love and Heartache. Jon kindly agreed to answer some questions for us about his new book. Please enjoy this interview and video, and be sure to check out his website at jonpapernick.com. Jon, please give us a brief overview of your book of short stories, There Is No Other. The stories in my new collection are set in Brooklyn, Israel, and Massachusetts and deal with issues of love, faith, relationships and God. Most of the stories deal explicitly with Jewish themes while others deal with the complications of modern relationships. The characters in each of the stories are searching for that other in their life, whether spiritual or physical -- sometimes finding that other, sometimes failing to. The younger characters in my collection tend to struggle with tradition and faith and grapple with Judaism and how to fit it in his traditions of their lives, while the older characters tend to struggle with the idea of tikkun olam, fixing the world and making it a better place. What compels you “write Jewish”? Is it a conscious choice? Would you call There Is No Other a Jewish book? I don't think it is a conscious choice for me to "write Jewish" but I find that much of my religious education comes to the writing of my stories, and I work out my own questions through the writing of my stories. I would call There Is No Other a Jewish book, but also a universal book that deals with how we all struggle with faith and relationships, which of course is not strictly Jewish. I write through the lens that compels me, so I couldn't write a Catholic book, or an African-American book, but I think all good books are universal and shed light on the mystery of what it means to be human. You live in Boston but you’re originally from Toronto. Does location influence your work? Would you say your stories have any kind of Canadian sensibility? Location very much influences my work. I'm a strong believer in the power of the spirit of place. My entire first book The Ascent of Eli Israel was set in Jerusalem, and in many ways Jerusalem itself is a character in my collection. The history, the smells, sounds, the streets all add up to something powerful that influences the way each of my characters act and react within each story. My first novel Who by Fire, Who by Blood was set entirely in Brooklyn, and again, I believe that Brooklyn itself becomes a character and my flesh and blood characters are influenced profoundly by the setting. There Is No Other is set in various locales, and for the first time, I've actually written a story is not explicitly set in any recognizable place other than a suburban basement somewhere in the Northeast. As far as I can tell my stories do not have any sort of Canadian sensibility. Most of the Canadian books that were forced upon me in school were precious and overwritten and quite dull, and I think I strive for the exact opposite. As somebody who has lived in Israel and New York, I don't think I have a lot of the reticence and politeness that many Canadian writers bring to their work. I have to admit that I found these stories difficult to process because there was a lot of harsh behavior from the characters. What would you tell readers like me (fans of happy endings) to help us better appreciate this sort of literature? I think there are at least three of the nine stories in my collection that certainly do have happy endings. I love the idea of happy endings, but as a writer it is my job to figure out how human beings tick, and as I write my characters, I listen to them as they make their poor decisions and follow where they lead me. I try to write about the human experience and it is not always happy. My characters often face fierce internal struggles that threaten to overwhelm them. I believe the job of literature is to make the reader understand what it is like to be somebody else, to live in another's mind for a while in a moment of crisis, a time when change is eminently possible. I want my characters to win, but sometimes a happy ending would be entirely artificial and unearned. That said, I believe there's a lot of humor in my stories, which leavens some of the pain that we all feel every day of our lives. 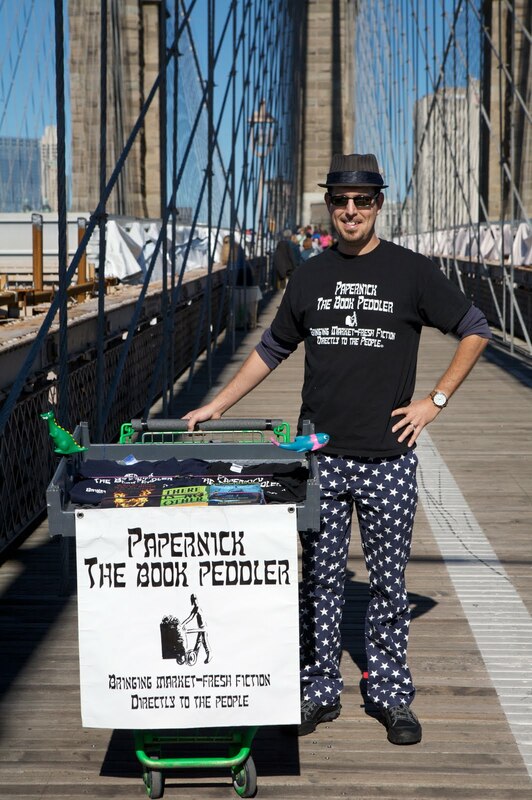 Please tell us about your unique marketing style, in your guise of Papernick the Book Peddler. After my first collection of stories came out in 2002 receiving a lot of critical acclaim, I was surprised to learn that new books for the most part disappeared from bookshelves after 3 to 6 months and new books are brought in to replace them. Within a few months, most of my books were gone from the stores only to be found online. I was frustrated to learn of such a short shelf life. 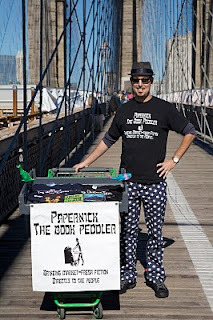 When my new book came out I decided that I would take matters into my own hands, and bring my books directly to the people by selling my books via makeshift pushcart at farmers markets in New England and New York. It was really amazing how people reacted to me, very positive, excited to meet and support a local artist. One week I sold 25 copies of my three titles at my local farmers market in just 3 1/2 hours. I received an e-mail from a woman who missed me at a farmers market who ended up buying six copies of my books. I felt that taking an active approach to selling my books would be much more effective than simply obsessing over my Amazon.com ratings or hoping that people would discover my book among tens of thousands of books in bookstores. In just a few weeks, I sold over 100 books, met some interesting people and really enjoyed the late summer weather. This past weekend [October 2, 2010] I walked from Brooklyn Heights in Brooklyn 10 miles to the Upper West Side in Manhattan with my pushcart and a team of my former students selling books and T-shirts. We had a lot of fun, had a reading at the end with Melvin Jules Bukiet, Aryeh Lev Stollman and Janice Eidus. I'll never become a bestseller from the back of my pushcart, but I will sell more books I would've sold if it didn't do anything. It was a good season, and I plan on reprising my role as Papernick the Book Peddler next spring. Jon Papernick, thanks for speaking with us and best of luck to you! Forthcoming books of from Judaic publishers discovered at Book Expo America 2010 in NYC!